The start of it all. 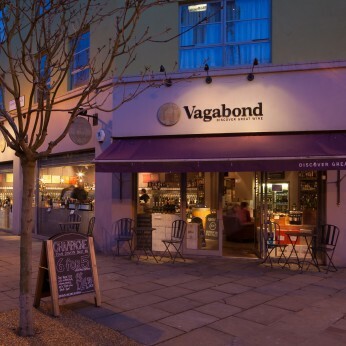 Our first Vagabond is just off Fulham Broadway in among an oasis of cafes and restaurants. Simply exit the Fulham Broadway tube station, hang a right, stay right, and after 1-2 minutes you’ll come across us opposite The Malt House pub. Come on by, try some wines, enjoy one of our popular cheese and charcuterie boards, and discover new wine! As of July 2016 we have permission to have some outside seating too. Everyone loves sitting outside in Fulham it seems but please note we must have everyone inside by 9pm. We're really sorry but we don’t seem to have any offers or events for Vagabond. We're sure there must be something happening here but they just haven't told us about it! Please do mention this to Vagabond when you next visit them.